Casino tournaments gained popularity significantly since they offer high level of excitement and extraordinary gameplay. No matter whether you are a video poker, slots, baccarat or roulette fan, you have the opportunity to enjoy your favorite game in a very different way by participating in a tournament. Depending on the respective game, these special events can vary in terms of duration, prize, rounds and other such factors. It is handy to know that there are various types of tournaments and therefore, it is best to get familiar with their rules and requirements prior to entering them. One of the most popular casino events of this type which have proven to be extremely entertaining, are roulette tournaments. If you are an avid roulette player who always seeks the thrills of excitement, then you should definitely sign up for a tournament. Taking into account that it is in human nature to be competitive and to strive to win, it is no wonder that these tournaments gained popularity so quickly all over the world. Thanks to them, you have the chance to compete against other players which makes the whole gaming process much more exciting. 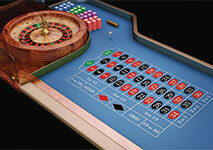 Presently, you can participate in a number of roulette tournaments that are held on a regular basis by many casinos. When it comes to roulette tournaments, you should know that all such events are classified according to their main features. The type of the respective tournament can be easily determined by taking into account the number of rounds it consists of, its prize pool and duration. In general, most casinos organize roulette tournaments in which the winner is the player who has managed to collect the most chips for a limited number of spins or when the set time runs out. Another two important factors that you should consider in advance are the payout of the game and the format of the event. This way, you can draw valuable conclusions about how to play during the tournament in order to win as much as possible. Even though roulette is predominantly a game of chance, you can minimize your losses greatly and eventually, turn a profit, only if you have good management skills and if you apply a betting system. The same goes for roulette tournaments as if you rely only on luck in them, you won’t be able to take first place. Speaking of first place, it should be noted that in some events you can get rewarded, even if you come in second or third. In most cases, in order to enter a roulette tournament, you are required to pay an entry fee which is usually quite affordable. It is essential to check its amount beforehand in order to determine whether the respective event is worth participating in. In order to clarify as much as possible how roulette tournaments work, it is best to compare these events to the ordinary roulette games. In the latter case, you play only against a dealer who represents the casino. During every session, you focus on placing reasonable bets and managing your money in such a manner that the game has a positive outcome for you at the end. Of course, in order to achieve this goal, your wins should outnumber your losses, unless you use a betting system that allows you to recoup your previous losses even if you win less. 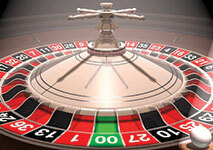 There are several major differences between roulette tournaments and ordinary roulette games. For instance, in roulette tournaments you are mainly playing against other gamblers rather than only the casino. Also, in order to enter a tournament, you have to pay an entry fee, whereas in ordinary roulette games there is no such a requirement. At the beginning of the event, each participant is given the same amount of chips for an equal start. When it comes to roulette tournaments, several types of formats can be distinguished and therefore, it is a good idea to learn more than one strategy. This way, you can alter your approach, depending on whether the tournament is played for a limited time or rounds, so that you can make the most of every game. In some tournaments, usually the ones that are limited in terms of rounds, the participant who has the least amount of chips is required to withdraw from the game. Since you cannot make any impact on the outcome of every round, the only thing you can do is to use a betting system, keep track of your funds and place reasonable bets. Thanks to the state-of-the-art technologies the online casinos use, they are becoming more and more popular. Every online casino strives to provide its players with a number of benefits in order to improve their gaming experience online. Since roulette is one of the most played games of all time, it is no wonder that many online casinos attempt to allure more players worldwide by offering roulette tournaments. In general, the structure and the format of the online roulette tournaments are pretty much the same. If you want to participate in such events which are held online, you are required to pay a buy-in fee or in other words, an entry fee. In most roulette tournaments, you are allowed to cash out your chips before the end of the event. The virtual nature of the tournaments allows the online casinos to organize more massive and long-lasting events. Online roulette tournaments consist of a maximum number of rounds in which you should try and collect as much chips as possible. You can take part in such events that can last for one week or even a month. In such cases, the competition is quite fierce as more players compete for one prize and thus, it is a good idea to use your smartphone so that you can play at any time and place. It is essential to double check the terms and conditions of the respective tournament beforehand in order to make sure it is suitable for you. No matter the type of tournament, in order to manage to take first place, you need to have a plan, even when it comes to games of chance such as roulette. While it is true that you have to get lucky at the right time to manage to collect the most chips, you also have to possess money management skills. Furthermore, you can try using some of the available betting systems which can significantly help you improve your betting choices. It is best to take your time to carefully consider the type of bets you will place during the respective event. Your betting decisions should be in accordance with the format of the tournament. For instance, if you are playing in a tournament which is limited in terms of rounds, it is best to apply a riskier approach. If you enter a tournament in which you have a certain time to compete, your betting pattern can be more conservative. Another thing which might help you make up a reliable strategy, is if you keep track of the chips the rest of the players on the table have since you compete against them. For instance, if you determine that you are ahead of them, you can apply a more conservative approach and vice versa. When it comes to roulette tournaments, you have to be able to adapt to the current circumstances in order to win. It is a good idea to try different tactics and vary your approach in order to make the most of every game. Thanks to roulette tournaments, you have the opportunity to play a game of chance but at the same time, apply a strategy since this type of events incorporate a skill-based element.